Imagine dipping your toes into a swimming pool on a warm spring day, testing the water temperature before diving in. Watch the ripples on the surface radiate outward and slowly disappear. Now imagine those ripples mirrored onto your leg. Due to the angle of the knitting, these socks are constructed without the need for a heel-flap, or a short-row heel, or an afterthought heel, or any of the conventional methods. The heel is instead shaped using increases and decreases alone. The sample was knit by changing yarns every four rounds to synthesize that rippled effect. 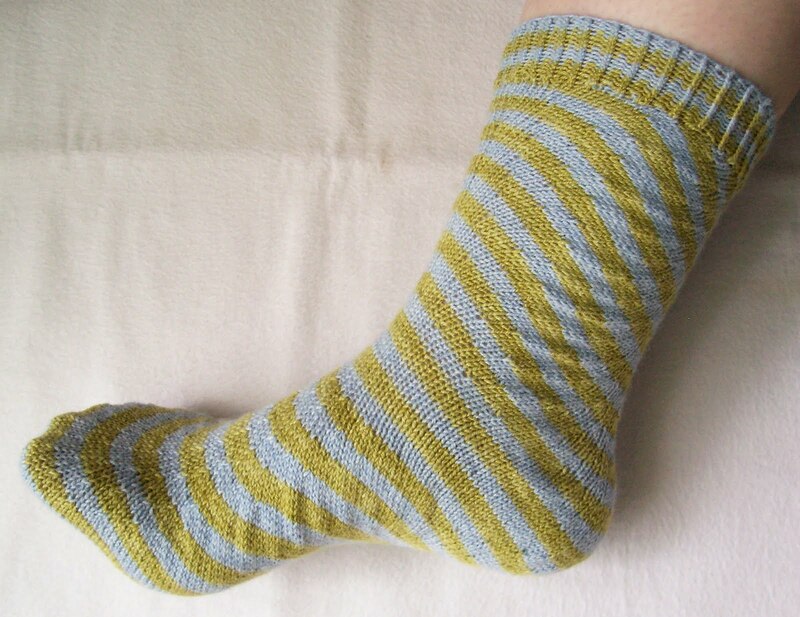 However, self-striping yarn could easily be substituted for a similar effect.